VRMA - A Small School with a Big Vision ~ The Toronto Hare Krishna Temple! Vedic Roots Montessori Academy (VRMA) was born in Fall, 2015 as a small preschool with a big vision – to become a leading Montessori school providing academic excellence with a spiritual foundation. We believe that a holistic education (addressing the mind, body and soul) can significantly contribute to a positive childhood experience, which research has shown, is linked to lifelong physical, mental and emotional well-being. 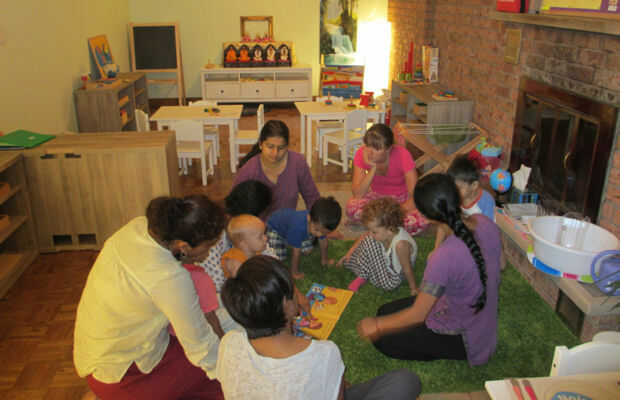 Over the last two years, VRMA has grown into a successful preschool in Toronto that combines the world-recognized Montessori curriculum with the values-based lessons on universal spiritual principles such as compassion, truthfulness, and empathy. VRMA also provides nourishing and balanced meals that promote the holistic well-being of our students in accordance with the ancient science of Ayurveda. VRMA's first location at Yonge and Sheppard is running at maximum capacity, and they are ready to open multiple locations across the GTA as early as Fall, 2017. Their new locations will be selected based on demand, because they want VRMA to be as close to its students as possible. Currently they are accepting pre-registrations for two age groups: Toddler (18 months to 2.5 years) and CASA (2.5 years to 6 years). 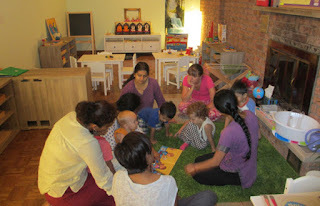 The preschool will run full-time: Mon-Fri, (with optional after-school program). If you are inspired to send your child to VRMA, please fill out their New Location Survey!